Stoke City have dismissed speculation linking Burnley with a £10m bid for centre back Ryan Shawcross as "absolute baloney". The Stoke Sentinel also report that the Potters are not welcoming offers for their skipper, contrary to stories in the national media. Shawcross is in the last year of his contract after 10 years with the club, and Stoke hope to agree a new deal with the one-cap England international. 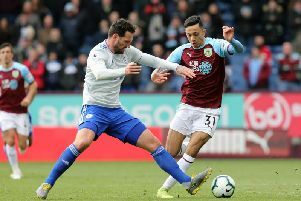 Clarets boss Sean Dyche hasn't ruled out a move for a centre back, but isn't pushing for a player in that position, stating he is happy with the options he has available in Ben Mee, James Tarkowski and Kevin Long.